Teaching With Love and Laughter: Tag, you're it! There's a fun game of tag going on so that we can all get to know each other a bit better. I was tagged by Becky, Susie, and Tanya, and I answered all 30 questions here. Now it's my turn to tag 10 people. 2. Which is your favorite subject to plan? 3. What three words would your students use to describe you? 4. Have you ever had an embarrassing teaching moment? If so, what was it? 5. What is your best teaching quality? 6. What are your plans for summer vacation? 7. Would you ever want to be a principal? 8. If you were not a teacher, what would you be? 9. 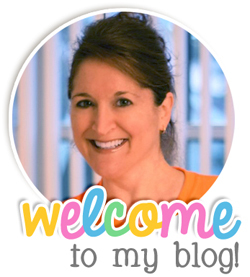 Do many of the other teachers at your school have a teaching blog, like you? 10. Are you smarter than a fifth grader? LOL! If any of the teachers I have chosen have already been tagged, please let me know. Thanks! I look forward to getting to know you all better.